The Nikon D7500 has some upgrades and some unusual changes from its predecessor, and not all of them are for the better. On the other hand, the D5600, which now has a higher resolution sensor and rear LCD than the D7500, remains an excellent camera that is only slightly hampered by a limited feature set. 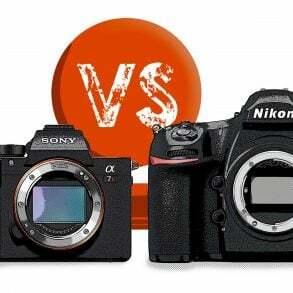 As a result, deciding which camera is “better” is not as simple as it once was. In fact, for some photographers, the older D7200 will offer the best of both worlds, while they’re still available. My general advice is always this: buy the least expensive camera that will meet your needs, and buy the best lenses that you can afford. Below, I’ll cover the differences between these cameras and explain which types of photographers will find the different features useful. 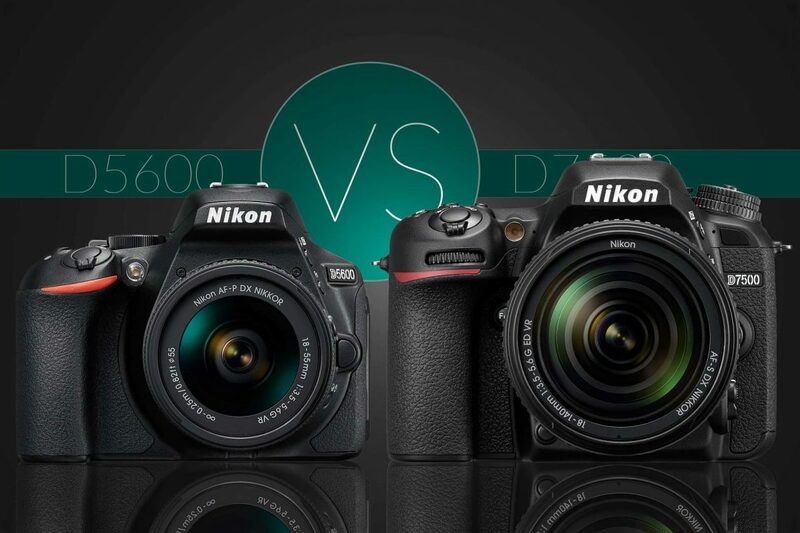 Nikon D5600 vs D7500: What’s the Difference? 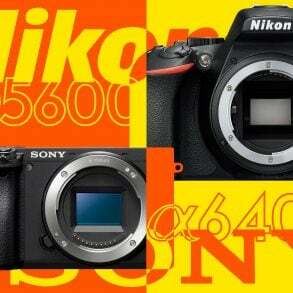 To begin with, let’s take a look at the most significant specs for the D5600 and the new D7500. In the past, the biggest difference in build between the D5000 and D7000 lines was the heavier magnesium-alloy construction of the D7000s. However, with the D7500, Nikon has dropped the metal construction in favor of a unified plastic frame and body, much like that found in the D5600. For specifics take a look at our D7500 vs D7200 comparison. The most important difference now is that the D7500 is weather sealed while the D5600 is not. Along with the D7500’s smaller, lighter body, Nikon has also adopted a new battery, the EN-EL15a. The D7500’s estimated battery life has dropped to only 950 shots (down from 1100 in the D7200), which is a significant but not dramatic advantage over the 820 of the D5600. With the differences in battery and body size, the walk-around weight1 of the D5600 is about 65% the weight of the D7500, which is also significant. Whether this is an advantage or disadvantage depends on your photographic needs; some photographers (especially those with larger hands) prefer a larger camera with some ‘heft’ to it, while others prefer something more lightweight and easy to carry around, especially travelers and hikers. Needless to say, those who work in harsh conditions will also prefer the D7500’s weather sealing, as long as they also have a weather sealed lens. The D7500 is the first of its line to have an articulated LCD, but its movement is somewhat limited. It can tilt up or down, but it can not be flipped out to the side to face forward, a useful feature for vloggers or those who take selfies. Both cameras now have touch screens, but at 922,000 pixels, the LCD on the D7500 has the lowest resolution since the D5100 announced in 2011 (luckily it did not drop down to the 230,000 pixel range found in the D3000 models). It’s 10% lower than the D5600, and is especially disappointing considering last year’s D500 has an LCD with over 2,000,000 pixels. The viewfinder of the D5600 uses a pentamirror while the D7500 uses a pentaprism to reflect the light coming in from the lens to your eye. Pentaprisms offer better transmission of light, but are heavier. The D7500 does have a top LCD panel to help you set and keep track of your settings, which you’ll miss in the D5600 if you’re used to having it. If you’re not, you’ll probably get used to pulling up the same information on the rear LCD instead. First, and most importantly, is Nikon’s concentration on high-ISO performance with the D7500. More pixels on a sensor means smaller pixels. 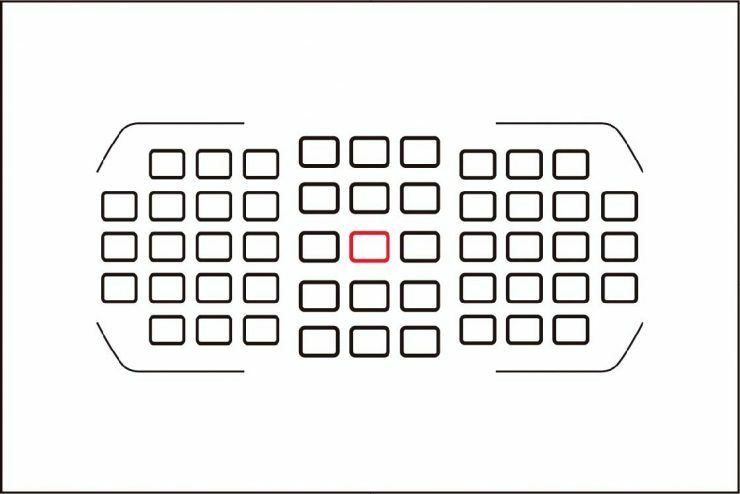 Smaller pixels collect less light, but the sensor’s electronics still generate background noise. This results in a worse signal to noise ratio (like a quiet voice talking in the car over the road noise), and thus, more digital noise in the image that results, especially at high ISOs (where the sensor tries to get by with even less light). The D7500 has fewer ‘pixels’ on its sensor, so they’re larger. As a result, the D7500 has a top native ISO of 51200, compared to the 25600 of the D5600: a full f-stop of difference. However, we’ve found that the D500 (which has the same sensor as the D7500) does not quite have a full f-stop of improvement in quality over the D5600 at high ISO, it’s more like 2/3rds of a stop. At ISO6400, the D7200’s noise is slightly better controlled (finer and smoother) than the D500’s is at ISO12800, though the difference is minimal, and the D500 has better contrast in the comparison. Second, Nikon wanted to improve high-speed shooting performance to compete with cameras like the Canon 7D Mark II, which can shoot 10 frames per second. These frame rates produces a lot of data for any camera to deal with. At higher resolutions, cameras produce larger files, which are harder to move quickly through the data pipeline to storage on the SD card. A lower resolution sensor’s smaller files are easier for the camera to deal with at high speeds. These smaller files make it possible for the D7500 to shoot 8fps and get the data stored onto an SD card, and more shots can be stored in the camera’s buffer for extended burst shooting. And finally, for most photographers, the difference in resolution between 21 and 24 megapixels just isn’t very significant in real-world use. Remember that most of us use computer monitors that are no larger than 4K resolution (about 8 megapixels), but the vast majority use full HD (1080p is just 2 megapixels), and very few photographers print these days. And if you’re resizing an image from 21 megapixels down to 10% of its original size, all of the fine differences in detail will be thrown out anyway. But if you do print? Then you’ll have to print LARGE to be able to see these differences… probably 16 x 24 inches or perhaps larger, and the differences even then will be minor. 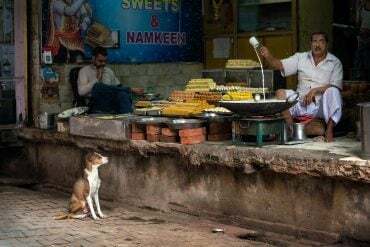 And that’s assuming that you are able to capture a difference to begin with. Only the sharpest lenses have high enough resolution to make a difference, and even then, only when shot from a tripod at the lens’ sharpest apertures, with no vibrations from the wind, ground, shutter, etc. 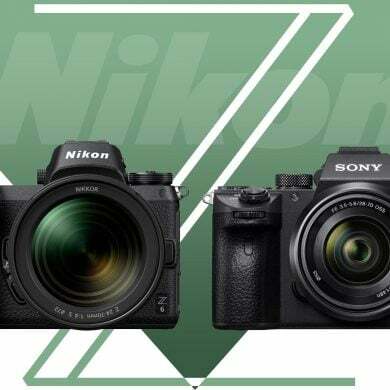 A full frame sensor with the same pixel density of the D7500’s 20.9 megapixel sensor would hold 46.5 megapixels, and Nikon has already admitted that not many lenses can meet the demands of the D810’s 36 megapixel sensor. 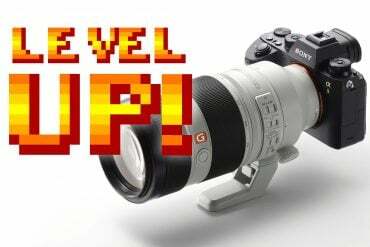 Who will benefit from the higher resolution of the D7200? 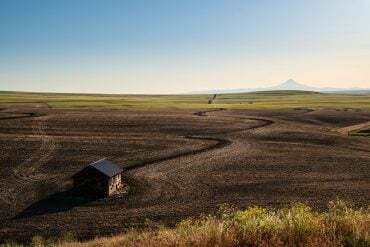 Landscape photographers often shoot in a manner that could make use of it, and so do some commercial/studio photographers and fine-art photographers. But journalists, event photographers, sports photographers, and hobbyists generally do not. 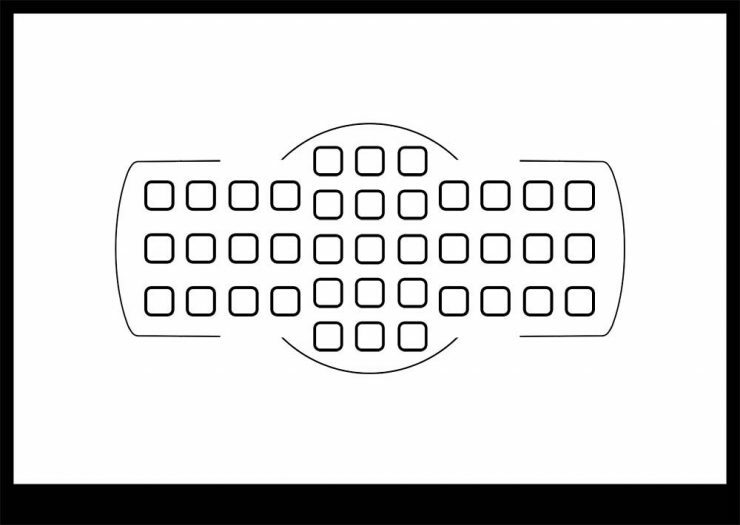 The Nikon D5600 focusing screen provides 39 AF points, with the central 9 being cross-type. 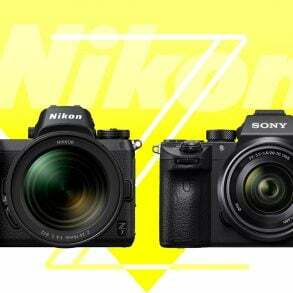 The Nikon D7200 and D7500 both share the same AF point layout and autofocus module. The total number of AF points in the D7500’s AF system are not so important as the fact that all of the 15 central points are cross-type, which makes them much more likely to lock on to a subject and pull focus. Equally important for many photographers, especially wildlife photographers, is the fact that the D7500’s AF system will work at very low light levels: -3 EVs, with compatible lenses. That’s about the amount of light you’d get from a full-moon, which is about 1/4 of the that the D5600 needs to focus. Photographers who frequently shoot indoor events in low light and wildlife photographers who shoot at dusk and beyond will appreciate the D7500’s AF system. Most photographers, though, will find that the D5600’s system is perfect for casual use, as well as portraits, landscape work, and travel. The differences between the D7500 and D5600 are most apparent when it comes to speed. The D7500 has a top shutter speed that is one full f-stop faster than the D5600’s (ie, 1/8000th vs 1/4000th), but the D7500 can also shoot at 8 frames per second, significantly faster than the D5600 at 5 frames per second. Even more dramatically, the D7500 can shoot 50 RAW shots in a row before the buffer is filled, while the D5600 can only shoot 6 RAW shots in a row before bogging down. 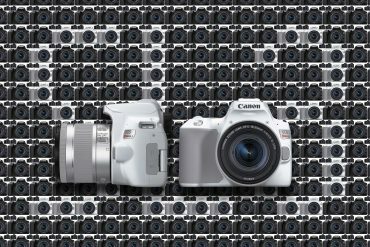 However, if you shoot JPG, both cameras are can shoot for about as long as anyone would need: at least 100 full-size JPGs in a row. Many pro sports photographers do shoot JPG, but some like the flexibility of shooting RAW for pulling out more detail, especially in low light. Flash has been a concern for all of the members of the D5000 line, and the D5600 is no exception. For some reason2, Nikon decided to withhold high-speed-sync (Auto FP Flash, henceforth AFP) and commander functionality with the built-in flash. External flash control may not be a big deal; many of us prefer to use radio-units (Pocket Wizard, Phottix, etc) anyway… though the built-in IR system can be very useful with Nikon’s Creative Lighting System (CLS). Hot-shoe mounted flashes with commander-mode capabilities (such as the SB500, SB700, SB5000) can be used on the D5600 and D7500 to control CLS slave flashes. Lack of HSS/AFP, however, is a serious problem for portrait (and some action) photographers. Imagine this situation: you’re shooting a portrait outside on a sunny evening in the golden hour light, and you want to use a large aperture to blur the background… f/2 or f/1.4, for example. Even at ISO 100, this will push your shutter speed beyond 1/1000ths of a second, which is much higher than the camera’s 1/200th sec. maximum sync speed. So, if you want to use a flash to soften the shadows or create a catch-light in the eyes of your subject, forget it: the flash will not sync. The same is true if you want to use flash for sports and a high shutter speed, and while you can purchase external command modules or radio transmitters for off-camera-flashes, there’s nothing you can buy to work around the lack of AFP. You’d need to buy the D7500 instead. In some instances, a neutral density filter can be used to bring the shutter speed down within the range of the D5600’s sync speed. 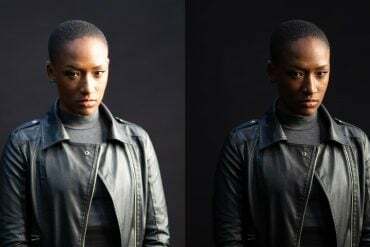 There are several problems with the method, though: the image through your viewfinder will become much darker, making it hard to frame your shot and making it hard for your camera’s AF system to pull focus, and you lose flash power. If you’re shooting with a telephoto lens, shutter speeds at the camera’s sync speed might not be safe for hand-holding, and they’ll always be too slow for sports or fast action if you’re balancing flash and ambient light. There are a few other assorted differences that deserve mention here, but they’re mostly the same differences that we saw between the D5000 and D7000. First, the D5600 does not have an autofocus motor built into the camera body, so it will not be compatible with the full range of (old school) Nikon lenses, while the D7500 does posses the motor. And speaking of “focus”, the D7500 is capable of micro focus adjustments to correct for front or back-focus problems on lenses, while the D5600 is not. Additionally, the D7200 has two User Preset positions on its mode dial (U1 and U2), allowing photographers to store commonly used groups of settings for quick access later. I’ve never found this necessary, but some photographers find them very useful, and they’re not available on the D5600. Finally, if you are interested in video, the D7500 has a headphone jack for monitoring audio while you shoot. The jack is absent in the D5600. Both cameras can shoot video at up to 1080p 60fps, but the D7500 also can shoot cropped 4K video. When shooting 4K, the camera records only from the center of the sensor at an equivalent 1.5x crop of the already 1.5x cropped sensor, so while shooting 4K, a 200mm lens gives you the angle of view of a 450mm lens. This does make shooting wide angle very difficult, however. 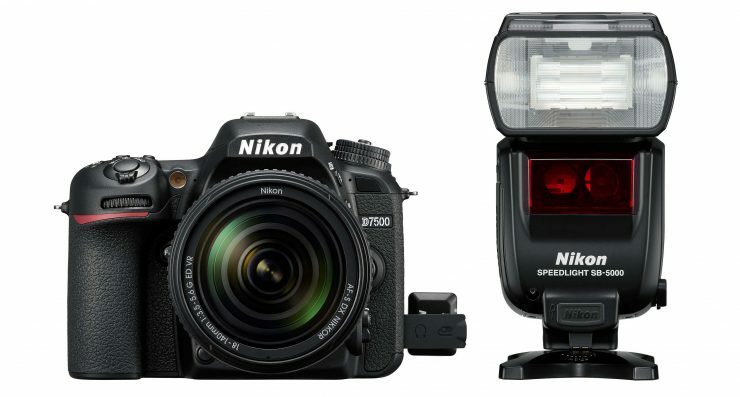 The Nikon D5600 and D5500 are great cameras, and I’d recommend them for the vast majority of photographers, with the exception of those who need superior flash capabilities. For those of you who focus on action and events, the D7500 has some significant advantages and is the best way to go. The D7200 is less expensive than the D7500 and occupies a great middle ground, with high resolution and fast speeds, but not quite matching the low-light capabilities of the D7500. If you think the D7200 might be a good option for you, check out our comparison of the D7200 and D7500. For the sake of simplicity I’ve tried to focus on only the differences that, in my experience, will actually be important. 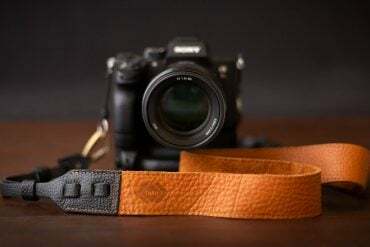 There are, of course, numerous differences between the two cameras, though, and some features may be more important to particular photographers. If you think that I’ve left out something important, please feel free to let me know. You really helped me make up my mind and I appreciate it. I was in a bind but not anymore! Thank you very much!! Hello Matthew, my name is John and I am a local Phoenix based photographer. 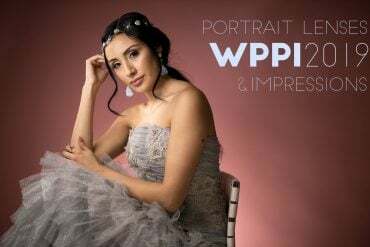 I usually shoot portraiture on the side for money such as weddings, some events like corporation sponsored golf events, family portraits, and couples. I also have a passion and enjoy doing fashion/glamour modeling for trade shoots. I usually like to bring my wife along as an assistant. She is a graphic designer and better than I am at editing though I am better at photography. I shooy aperture priority or shutter priority mainly. My gear is as follows favorite lens and one I use mainly 50mm f1.4, 70-300mm f/3.5-5.6, 18-55mm f3.5-5.6, 85mm f1.8, a SB 850 speedlight. I primarily like to shoot early in the morning or late afternoon for best natural light. I also enjoy landscape, nature, and wildlife photography. Let’s start with the camera question. If you do fashion/portrait/weddings and that style, then I would really recommend making the switch to full-frame at some point, not just for the shallower depth of field when you need it, but for the better tonal range and detail. Shooting with your 85mm at f/1.8 would give you very similar results to the 50mm at f/1.4 on APS-C, and the D750 body is not much more expensive than the D7500. That said, you’ve probably already seen my general advice: buy the least expensive body that will meet your needs and the best lenses you can afford. If APS-C is suitable for your needs, then for image quality, the D5600 is excellent and for this type of work there aren’t many advantages to using a more expensive camera like the D7200/D7500, which are mostly just better for sports and action… unless of course you want to shoot with high-speed-sync flash. So, I’d go with the D5600 unless the D7200 is the same price, in which case I’d go for the D7200 (currently only $697, though who these things change frequently). Lenses are more a matter of personal taste. Please help me out. I want to buy a d5400 or d7500. I travel a lot and I love taking pictures. I love to take pictures of my kids and nature. I love to mess around with the lighting and I like a real crispy picture. What would u advice ? My general advice is always to buy the least expensive camera that will meet your needs and the best lenses that you can afford (good lenses make a bigger difference in your image quality and they hold their value longer). From what you describe, it sounds like the Nikon D5600 would be perfect for you, and the 18-140mm kit lens is a good option for all-around shooting and travel, but you might want to go with a 50mm f/1.8G lens for portraits and shooting your kids, or something like the Sigma 18-35 f/1.8 for exceptionally good low-light performance, portraits, landscapes, etc. Love your review, but I am still torn between purchasing the 5600 and the 7500. 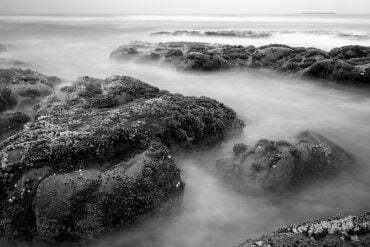 I’m a previous Canon user and ready to make the leap into the Nikon world! I shoot many low-light night-time marching band competition/football game/dance team photos, I also photograph greenhouse flowers/plants and outdoor landscapes in daylight However, weather conditions are a major concern for me because I have photographed many weather related issues. Recently I ended up photographing (and videoing) the NYGiants halftime show with my iPhone because I didn’t want to ruin my camera due to the continuous downpour of rain. I am equally concerned about the humidity in the greenhouses- cameras have stopped working on several occasions. In addition, I want the luxury of being able to photograph portraits and day to day happenings from the same camera. Any suggestions for a body and/or lens(es)? Originally I was leaning toward the 7500, but if I heard you say it once, I’ve heard you say it throughout your responses, to buy the least expensive camera that will meet my needs and buy the best lenses for optimum quality. I just can’t tell what would be the right decision in this case. What do you recommend here? Just to be clear, videoing from my camera isn’t my number one priority because I think iPhone videoing is just as good a job as any other device on the market. Ultimately, the D7500 is going to be the better camera for your purposes, here, since you’re going to be shooting a good amount of action. You might be able to get away with the D5600, but it does not sound like it meets your needs as a photographer… so get the camera that does. Even the D7500 might not be the best camera for your needs, though. I also shoot a fair number of sports events (and cheer competitions) at night and in low-light gyms, and it frequently means that I need to push my ISO up to 6400 or higher to get good action-stopping shutter speeds, and that’s with f/2.8 lenses. At ISOs that high, having a full-frame sensor is a huge advantage. So, before you move on in your buying process, think about getting a Nikon D750 full-frame body: it only costs about $50 more than the D7500. If you do decide to go with the D7500, then using lenses that let in the most light will be very important. 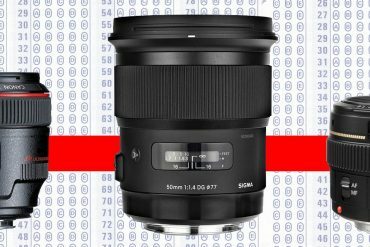 Primes with f/1.8 or f/1.4 apertures will make a huge difference (and of course Sigma’s f/1.8 zoom lenses, the 50-100 f/1.8 ART and 18-35 f/1.8 ART ) will also give you much better performance in low light. Whatever camera you decide on, keep in mind that weather sealing is never guaranteed, and many lenses are not weather sealed even if your camera body is. It’s a good idea to invest in a rain-cover for your camera/lens for when you have to shoot in bad weather… you can get cheap ones for just a few dollars on Amazon, and pro-quality ones for a bit more. I used to do a lot of shooting in greenhouses myself (I used to grow orchids), and I lived in Florida for a couple of years and shot in swampy areas quite a bit. It is important to store them in a dry place when not in use, and more importantly, to acclimate them to the humidity when you go into humidity. This means, for example, putting the camera in a ziplock bag when bringing it into the greenhouse, and letting the camera warm up to the ambient temperature there before getting it out (putting a heat-pack in the zip-lock will help speed up the process, if you’re in a hurry). This will keep condensation from forming on your optics, and also from forming on the electronics of your camera and causing problems. Weather sealing will help with the electronics, but not the optics, and again, it’s not a guarantee…. if your camera gets ruined by water, it’s not covered by warranty. Hello Matthew, this review is very helpful. I am very confused about what I need at the moment. I recently purchased a D5600 and haven’t learned the camera well yet. It was a two lens kit and I purchased a 50 mm f2.8 lens to use for general use. It has worked great at parties and even taking photos of my dogs. My concern is that I should get the d7500 as my primary goal for the camera is to take pics of my son’s soccer games and my daughter playing volley ball. I can’t determine if I should get a better lens such as the Tamron G2 or get the upgraded camera and eventually get the G2 in a few months. I just don’t want to regret not buying the faster camera. What are your thoughts? Hmm… tricky question. If you’re talking about the Tamron 70-200 f/2.8 G2, then my advice is to go with it rather than worrying about the camera. The D7500 would help a little, at times, but not nearly as much as using a high quality lens like the G2 with the camera that you have. The AF on your existing camera is good, and you don’t need to shoot fast bursts to get good photos. Yes, the D5600 and D7500 are both compatible with the 200-500mm lens. No problem. For me the biggest advantage of the 7500 is the larger brighter and very clear optical viewfinder. I have less than great vision and want the largest clearest viewfinder possible without going to a professional level camera. First of all, I would like to thank you for your valuable review on the subject. I currently have a Nikon D3100 and 2 lenses: Nikon 18-55mm f/3.5-5.6 and Nikon 55-300mm f/4.5-5.6. My goal is to get high quality and sharp photos. I use basically my camera for taking pictures when I travel to different location from Sea beach to Hilly areas ( for both in daylight and also in night light) mainly landscape for natural beauty and bit of family picture. Could you tell me please if you think that for my needs I should upgrade to a Nikon D5600 or a Nikon D7200 or D7500? Also can I ask you which lens you think will give me high quality and sharp pictures (the 18-55 or the 18-140) since I am also thinking to buy the next one in addition? It sounds like the Nikon D5600 would be perfect for you (in fact, it is perfect for most photographers who don’t concentrate on sports and action photography. The D5600 is good for action, too, but the D7000 series is better.) It’s not great for video, but it will get the job done now and then. I’m a big fan of the Nikon 18-140 lens as an every-day, walk around lens for general photography, but to get the sharpest photos really requires two things: 1) professional quality lenses and 2) an understanding of the technical side of photography (knowing when to use a tripod or change your exposure, etc). As a general rule, I tell people to buy the least expensive camera that will meet their needs and buy the best lenses that they can afford. Great lenses make all the difference. The 18-140 is a good lens, but it’s not great. Unfortunately, pro-quality lenses are expensive and they’re big and heavy. I personally do most of my shooting with a 70-200 f/2.8 (the Tamron 70-200 f/2.8 G2 is excellent and much, much less expensive than the Nikon version), but many people prefer prime lenses for portraits (85mm is popular), and almost all of the modern prime lenses are excellent (including Sigma, Tamron). You’ll also get a more dramatic perspective with ultra-wide angle lenses like the 10-20mm lenses (or 11-16mm) lenses that are on the market. But of course, before you buy any new equipment, double check that you know how to get the most out of the camera that you already have ( and usually a new lens would be more helpful than a new camera). You might want to refresh your knowledge with my 3-basics article or my article about how to determine why your photos aren’t as sharp as they should be. What do you think the d5200 is as good a camera as it is D5500 D5600 ? I read that the extra filter is not relevant in any case for worsening the photos. All of them work great, clear and sharp. The best course of action for you would be to keep your D5300 and invest only in a new lens (or lenses), unless you really think that the touchscreen and Bluetooth would be helpful to you… and that’s something that only you can say. 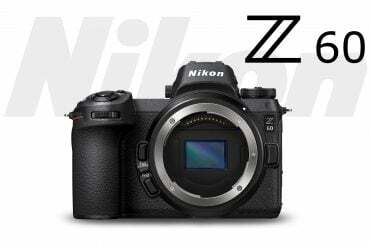 The Nikon D7500 may have slightly better noise handling than your current camera, but its resolution and detail will actually be lower than the D5300. The D7500 moved down to a 20.9 megapixel sensor to improve high-speed performance, while the D5000 series cameras still use the 24.2 megapixel. So, for watch detail, you’ll get the best detail from your current sensor… and the D5500 and D5600 will not add any improvement in image quality, either. To really get the best detail when shooting macro/close up work, it’s ideal use the best lens possible at its best aperture (in this case, it will be f/5.6, probably… maybe f/8), and if you’re shooting from a tripod, you can also try focus-stacking in LR or Photoshop (there are probably a dozen tutorials on YouTube if you’re not familiar with the process yet). Sounds like you’re in good shape there, already. For travel, then, you can get any high-quality lens that meets your needs instead of putting more money into a camera body. Stay away from all-in-one zoom lenses (18-200, 18-300, etc), since the quality always suffers if you try to cram too much zoom range into a single lens, but otherwise, it’s a matter of personal choice and what kind of photos you like to take. Matthew, many thanks for this view. However I still can’t make a decision. Years ago I purchased the D70. 6.1 effective megapixels! Before that I had film Nikon cameras.! Which means I have a number of lenses, some are old. Nikon VR Nikkor 70-300mm 1:4.5-5.6 G, Nikon AF Micro Nikkor 60mm 1:2.8D, Nikon AF Nikkor 28-80mm 1:3.5-5.8D, VR Nikon DX AF-S Nikkor 18-55mm 1:3.5-5.6G, AF Nikkor 75-240mm 1:4.5-5.6D, AF-S Nikkor 18-70mm 1:3.5-4.5G ED, Vitacon 100-400mm 1:4.5-6.7 MC. The old D70 weighs 630g compared to the D320 which seems very lightweight at 467g. With the motor for the lenses being inside the D7200 would this be a better choice for me? Looking forward to your reply. Yes, the D7200 sounds like a great choice for you if you’d like to keep using your existing lenses. However, keep in mind that the high resolution sensor of the new cameras will really show the optical flaws in older lenses, if you examine the images closely or print very large. AF with the in-body motor of the D7000 series can be a little noisy and slow, especially with larger lenses. My advice has always been to buy the least expensive camera body that meets your needs, and the best lenses that you can afford. So, you might also want to consider buying a D5600 or even D5300, sell some of your old gear, and use the difference to buy a modern, professional-quality lens (with an f/2.8 aperture available throughout the zoom range). I think you’ll be happier with the resulting image quality. Thank you very much for the review. I would like to have your advice, I currently have an Nikon D3400 and 2 lenses: Nikon 18-55mm f/3.5-5.6 and Nikon 18-140mm f/3.5-5.6. My goal is to get high quality and sharp photos. I use basically my camera for taking pictures when I travel to another country (mostly in daylight) such as family pictures of my wife and daughter for example in front of the Eiffel tower or in front of the Colosseum, so basically still subjects. Could you tell me please if you think that for my needs I should upgrade to a Nikon D5600 or a Nikon D7200 or D7500? Would this be a good investment or should I stay with the D3400? I was also thinking in buying the Nikon lens 16-80 f/2.8-4E, do you think this would make a difference with the lenses I have if I use it with the D3400? 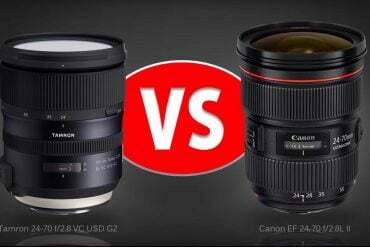 Also can I ask you which lens you think will give me high quality and sharp pictures (the 18-55 or the 18-140)? In your case, it doesn’t sound like upgrading to a more expensive camera body would give you any benefit. The sensor in the D3400 is just as high-resolution as the D5600 and higher than the D7500, and even though the more expensive cameras have some speed advantages, for example, they’re not the kind of thing that will be helpful for the kind of shooting you do. I’ve always been a big fan of the 18-140mm VR lens: it’s sharp, it’s versatile, and it’s not gigantic and heavy. The 18-55 is just fine. You certainly have the right idea; sticking with your current body and buying an excellent lens or two will be the best way to improve your image quality. The 16-80 might be a good option; it will give you more light to work with, and the optics are good. Prime lenses will also work well (any of the Nikon G series are inexpensive and high quality), and Sigma’s are excellent too. There, I’m a fan of Sigma’s 18-35mm f/1.8. Thank you very much, Matthew for the advice. Just a quick question, I read that the Nikon 16-80 f/2.8-4E is “too much” for the D3400 and it will not reflect the good quality of the lens (as per the author of the post, is like installing high quality tires on an old car), what do you think of this? The 16-80 is a very expensive lens, especially for a variable maximum aperture lens (ie, f/2.8-4 rather than f/2.8), and I can understand why some people might think that if you’re spending that much on a lens, you should also spend more on a body. However, the D3400 and D5600 have the same resolution sensors, and they’ll capture the same amount of detail and color (if you shoot RAW… JPG processing always differs between camera bodies, but I don’t ever recommend shooting JPG, or at least, not JPG alone… RAW+JPG is fine). All of the other differences in the cameras won’t have any effect on the image quality, and it sounds like that’s what you’re concerned about. Now, the lens may focus slightly faster on a more expensive body, which would be a concern if you were shooting sports and action. And you’d get better focus locking in very low light with some of the more expensive bodies. But, those don’t seem relevant for how you’ll be using the camera… so I’d save your money for lenses; if you’ve read through these comments you’ve probably already seen my general advice: “Buy the least expensive camera body that meets your needs, and buy the best lenses that you can afford”. High quality lenses will hold their value and they’ll make a greater difference in your image quality. So, “too much” is nonsense, here. 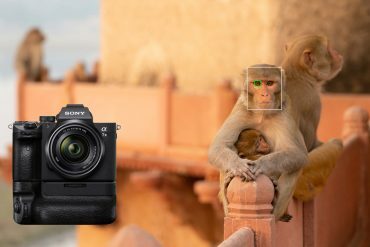 The D3200’s 24megapixel sensor already has higher pixel density than the Nikon D850; it will take the best lenses and the best shooting technique to be able to match that sort of resolution. Hey there! Thank you so much for all your information! As a content creator at work I now use a 5600 with a standard lens. As I’m gonna be freelancing from nex month I have to buy my own camera. I will be creating content for social media, all sorst of gentres (food, product, bloggerstyle) but mostly sport related content. So pictures and video’s from workouts. Most of the time inside of gyms. I was thinking about just buying the same cam as work cause I’m already used to it but maybe with a lens upgrade. But also very much impressed with the d7500. Which one would you recomand in my situation? Looking forward to your reply! My general advice is always to buy the least expensive camera body that will meet your needs, and buy the best lenses you can afford. From what you’ve said, I’d stick with the D5600, but you might also consider the older model D7200, which is not too much more expensive and is even better than the D7500 in some ways (though not in others). Instead, use the money that you’ve saved to buy a large-aperture prime lens that will help you get clean, bright images in gyms and other low(ish) light places, and will give you nice bokeh in general. The Nikon 35mm f/1.8G, 50mm f/1.8 and 85mm f/1.8 are all good options there, depending on your shooting preference. Hi, I really enjoyed this article as well as your comparison between the 5300/5600 and 7200. I am looking for the best cost effective (under 1,000$) DSLR that will do well taking images of tomb paintings, thus low light. Each space measures approx 7′ x 8′ so smaller spaces. I originally planned on getting a FX but that doesn’t seem poss. in my budget. But then again, it seems that a FX camera can be purchased for about the same as the 7200. I am wondering what you would recommend between the 7200, the 5300 vs. something like the Canon 6D or Sony A7 (older models but the only FX cameras in my budget). Thanks in advance for your help! There is always some low-light benefit from a full-frame sensor, but in this case, probably not enough to warrant the extra cost. The Nikon D5300 is an excellent option for image quality at a good price. If you’re shooting in low light in tombs, really the most important thing will be a good wide angle lens that lets in a lot of light… either an f/2.8, or even Sigma’s 18-35 f/1.8, if you can live with an 18mm wide end. If not, then I’d recommend one of the Tokina f/2.8 ultra wide lenses… one of the 11-16mm f/2.8, or 11-20mm f/2.8. 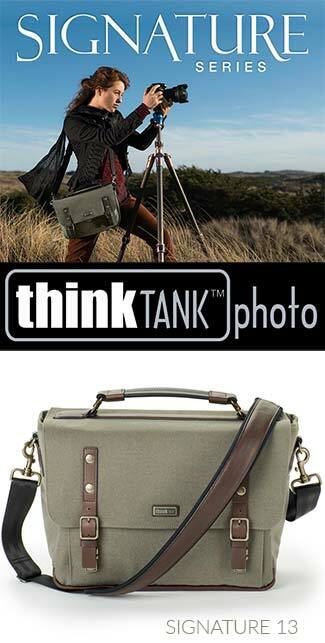 They have great optics and a large aperture and might fit into your budget. But the fact is, the camera won’t really matter all that much if you can use a flash… either on the camera and bounced behind or above you, or off the camera and shot through an umbrella or similar diffuser. Many thanks for your response! Unfortunately flash is not allowed because of the delicate nature of the paintings, so I will be relying on pretty bad LCD lighting. Regarding lenses, I have to avoid ultra wide angle ones (and fish eyes). Would these restrictions change your opinion regarding FX vs DX? Or 5300 vs 7200? Thanks again, really appreciate it! Actually, if you don’t need an ultra-wide angle lens, that makes things a little easier. But first… the D7200 is a better camera than the D5300 in some ways, but not in any way that I think is relevant to what you’re doing, and my general advice is always to buy the least expensive body that meets your needs and buy the best lenses that you can afford. In addition to my Canon and Nikon equipment, I own a Sony A7RIII, and I love it… but I wouldn’t purchase earlier models because I had serious problems with the controls and less serious problems with their autofocus systems… especially in low light. So, I can’t recommend an A7, but that’s a lot to get into. The Canon 6D is fine, and will give you better high ISO performance, but it’s not dramatic… this will just be a matter of where you want to spend your money. That said, the lenses that I recommended previously were rectilinear… so there will not be excessive barrel distortion or a fisheye effect. However, if you don’t need the wide angle and you’re focusing on documenting details, then you can get a good large aperture prime lens, and you’ll get a lot more light and top notch image quality. For the Nikon D5300 or D7200, that would mean a 35mm f/1.8G or a 50mm f/1.8G, both of which only cost a couple hundred dollars and will let in more than twice as much light as an f/2.8 lens…. or you could even get an f/1.4 and get 4-times as much light as an f/2.8. This is, of course, assuming that you can’t use a tripod. If you can, then all of this concern about low-light is needless. You’ll get the best image quality from a tripod regardless, and you’ll also get better image quality when your lens is stopped down a couple of stops from it’s widest setting. Thanks a lot for all your articles and responses!! I currently have a D5100 but I’m considering to upgrade to a D5600 or D7200. I’d like to start learning about astrophotography (e.g. milky way shoots) so I just want to make sure my decision takes that into account. Would you say that the D7200 will work better than the d5600 in that sense? Should I consider even the D7500 due to the higher ISO range? I just don’t want to buy a body that won’t allow me to learn and shoot that kind of photos. I have some budget constrains so I don’t mind waiting some time after upgradeing my camara to buy a good lens for this purpose. However I will appreciate if you can suggest a few options for buying this type of lens. The D5600 and D7200 both will be great for astrophotography. The difference in high ISO performance in the D7500 is negligible… not worth the extra money if that’s what you’d be choosing it for. My general advice is to buy the least expensive camera and buy the best lenses you can afford. Any sort of f/1.4 lens would be ideal for astrophotography, or if you want something a little more flexible, Sigma’s 18-35mm f/1.8. Sigma’s 20mm f/1.4 is also a good option. If you can live with something less wide, a 24 or 35mm f/1.4. Good luck! Actually, now that I think about it, for nightscapes, the Samyang/Rokinon manual focus lenses would be great: they’re f/1.4 but cost a ton less than their AF counterparts. Thanks Matthew!! apologies for the basic question: Can I use those lens in both cameras with no problem? Yep, they’ll work with any of the cameras we mentioned. Thank you for the great article. Very informative! I am looking for a replacement for my old Nikon d40x. I most take pictures of family and during travel. Most of the time my old Nikon with the 18-200mm lens worked fine, especially for travel. But now that I need to occasionally take pictures of my daughter riding horses I want a faster camera and possibly a faster lens. I was doing to get a 7500 and use the lens I have. But now I am not sure if I should get the 6500 and use the money saved toward a better lens. One thing I read everywhere is that 7500 performs much better in low light condition. What is exactly low-light? Sometimes horse riding occurs in an indoor arena with artifical lights or big opening on the sides letting in natural light. Will that be considered low light condition? Also will 7500’s better AF and 3 extra fps make a big difference in the situation above? What kind of lens would be able to compensate for the slightly lower performance of the 5600? If I need a lens that costs $2500 to make the 5600 perform as good as the 7500 in the setting I mentioned it wouldn’t make sense to save $600 to get the cheaper camera. ☺ Thank you in advance for your input! I am told that files created in the D7500 are not compatible with Photoshop. Is that true? If so what are my options? Thank you for your professional advice. As of July 19, 2017, Adobe Camera Raw and Lightroom added support for the Nikon D7500. If you were using PhotoShop, the D7500 RAW files would open in Adobe Camera RAW. Of course, Photoshop can open JPG files from any camera. There are plenty of other options, though. On1 Photo Raw and CaptureOne are a couple more good options. Thanks for the great article and responses to all the questions! I’m wondering what you think is the best camera/lens for shooting artwork which will be then enlarged to giclee prints of at least 24×36…and as large as 40 x 60 inches. I’m thinking the D5600 with the 40mm prime is good, and I will stitch 2-4 shots if necessary. Obviously resolution is my main concern since I’ll be getting large prints from a print shop. My artwork is all watercolors on paper (no texture), and the size of the originals range from 8×10 to 22×30. I shoot outside (on a tripod) in shade or on grey days at this point. Any help with this would be much appreciated!! With copy work, it’s really technique that is the most important… but to make your life easier (especially when you’re combining multiple shots), you’ll want a lens with low distortion (and of course, sharp). I find that a short macro lens works the best… something like a 40mm macro would be great, but I prefer a 60mm because it increases the working distance a little, which makes the setup a little more tolerant of your copy stand being off-square. You can decide based on how big your art pieces are. The D5600 would be great, but the D5500 would be too, if you want to save a little money. Just wanted to thank you for these great ideas. I got the camera from Beach Camera (delivered in 1 day!) and went with the 40mm for now. I didn’t realize the importance of using LiveView for focus…and your other ideas are very helpful as well! ( I happened to finally install the Spyder color checker recently…a real necessity, I now realize). I shot some photos in RAW, but Photoshop Elements couldn’t open them since apparently Nikon saved them as NEF files. I converted the photos to JPG individually in the camera, but there must be an easier way…and a way that doesn’t reduce the resolution when converting to JPG. It’s a really great camera so far though!! Thank you again. Yes, NEF is the Nikon RAW format, and it is definitely what you should be shooting… though you can also set the camera to shoot JPG. Photoshop elements can open NEF files (with Camera RAW), but if you’re using an older version, your particular camera might not be supported. Thank you for your excellent and honest review and comments. My Nikon D5100 & Lens became too expensive to repair about four months ago and I have been searching for a replacement. When I enter our local camera store, the salesmen groan and become over powered with the urge to dust or take inventory or answer the phone that didn’t ring. I think they all run to the back of the store and draw straws to determine who will finally get stuck with me and my endless questions and “what-ifs”. After reading your comments I will probably purchase the D7500 even though it is probably more camera than I need. Your comment on the 18-300 f/3.5-6.3 lens (“ ….more zoom range that you try to pack into a single lens, so you end up with mediocre quality optics at best”) will now send me back to my camera store. What sort of performance will my old Nikon DX AF-S Nikkor 55-300mm 1:4.5-5.6G ED lens produce with the D7500. 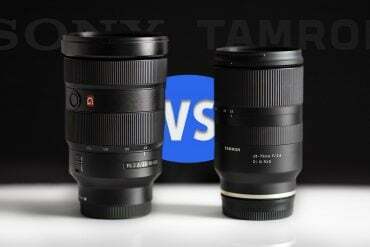 Which other telephoto zoom lenses do you recommend to complement the 18-140mm? I consider myself an amateur. As for subjects, in the summer months subjects are mostly wildlife, birds, scenery, flowers, bugs, golf, ranch life (horses, sheep, cows, & dogs). In the winter mostly photograph people at a variety of activities, e.g. dancing, bowling, parties, golf, plays, etc. As you’ve probably already heard me say, that 18-140 is a great lens for most common situations, but it’s not the perfect lens for anything. I love it for keeping on my camera most of the time, and switching on a different lens when I have something specific in mind. Your 55-300 is a pretty good lens for the range. It’s a little on the soft side at 300mm, especially in the corners, but it’s really quite good from about 55-200mm, and not bad at 300… so it’s worth keeping around. But if you want the perfect lens in addition, you’ll have to have a pretty specific goal in mind. If you just want a sharper zoom lens that will let in more light, then there are f/2.8 zoom options. If you want a good portrait lens, then there are 50, 85, and 105mm options. If you want an ultra-wide angle, there are other options. So, I’m afraid that I can’t be of much help without narrowing down the field a bit more. For most of the things you mention, the 18-140 will be great, though anything in dim light will benefit from a larger aperture (somewhere between f/1.4 and f/2.8). Sigma makes a couple of really cool lenses… the 18-35 f/1.8 and the 50-100 f/1.8 that are really nice and sharp and let in tons of light (the 50-100 is great for low light events and perfect for portraits), but they’re going to be big and heavy (and expensive) compared to typical consumer lenses. Hello Matthew, your article is quite useful. May i ask whats the best for shooting street shots and travel timelapse videos. Im a small person though i try not to bring as bulky as possible but im thinking about the quality i can get, what is better? The D7500 is going to be the better camera for most things; the question is, is it a big enough difference to warrant the extra cost and weight? So, here are the ways in which the D7500 is better: its autofocus system is better (more cross-type AF points, more AF points total, better low-light focusing), and its frame rate is a faster if you’re shooting action. It’s weather sealed (sometimes helpful in street photography). The AF system on the D5600 is pretty good, though… this won’t be a huge difference, but it might come into play if you’re shooting at night or in the evening, or indoors in poor light. I doubt the frame rate will be an issue… few people need more than 5 fps for street work. As you know, the D5600 is smaller, lighter, and less expensive. It also has a higher resolution sensor. The high-ISO difference between the two cameras is minimal, and when shooting at low ISO, the image quality will be at least as good on the D5600 as the D7500 (if you shoot raw files). For timelapse video, it depends on how you shoot. If you mean shooting still photographs and combining them into videos, then they’ll both be excellent… and that’s how you’ll get the best quality (since you can shoot raw, make 4K videos, get the best colors and dynamic range, etc). If you want to use functionality in the camera that automatically outputs to a video file, then generally the D7500 has the better video capture, but I can’t really help you here, since I don’t shoot like that and don’t really recommend it. Any feedback will be appreciated thanks. For common, every-day shooting, an APS-C (DX) camera will be about as good as a full-frame camera for most things, assuming that your lens is of equivalent quality and using an equivalent setting (a smaller sensor will decrease your angle of view from the same lens, so you’ll need to be further away from the subject for similar framing through the viewfinder, and that extra distance will increase your depth of field… so if you love taking portraits with a very shallow depth of field, you’ll need to use a larger aperture with a DX camera). That said, when you’re pushing the limits of the sensor’s capabilities (generally in low light, but also with resolution to some degree) full-frame can offer a significant advantage. I find that the difference in noise-handling is worth about 2 extra stops with an FX camera, so where I’d feel comfortable shooting at ISO 3200 with a DX camera in low light, I’d get similar quality at ISO 12800 with an FX… though it depends on the specific models of each. So, if you expect to shoot in low light pretty frequently (and not use a flash or tripod), you might want to think about an FX. You can make up for a lot of that difference by getting a lens that lets in more light, especially if it has image stabilization (though that will only help with camera shake, of course, not subject movement). A good f/1.4 lens makes a big difference. 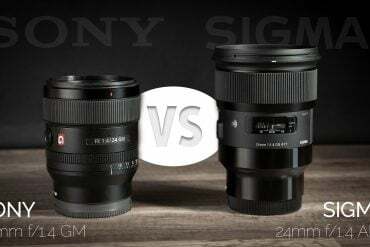 For DX cameras, there are now some remarkable f/1.8 zoom lenses… the first of their type… Simga’s 18-35mm f/1.8 and 50-100 f/1.8, also great options (only for DX) if you shoot in low light a lot. As you’ve probably already heard me say a dozen times in these comments, I always recommend buying the least expensive camera that will meet your needs, and the best lenses that you can afford… that’s where you’ll see the biggest difference in your images. So, it will depend on your interests in shooting :-) Good luck! Hey Mace, was going through the comments and saw yours. Honestly speaking, I am inspired by your enthusiasm at your age, and I wish you all the luck for your years to come. I hope I am as enthusiastic as you are when I am your age. Great comparison. I’m looking for a camera for my wife and I… Her necessity is automatic syncing to the cloud of some sort for access on her phone, pc, cvs photo printing etc. I have a sony nex5 which has wifi and syncing but its not very clean. I started my search on consumerreports which pointed me to the D7200. I went to nikon and learned about their snapbrdige app and nikon image space which makes the syncing very easy. Some of the snapbridge compatible cameras even come with unlimited cloud storage (reduces images to 2mb). Only issue is the 7200 is not a snapbridge camera. 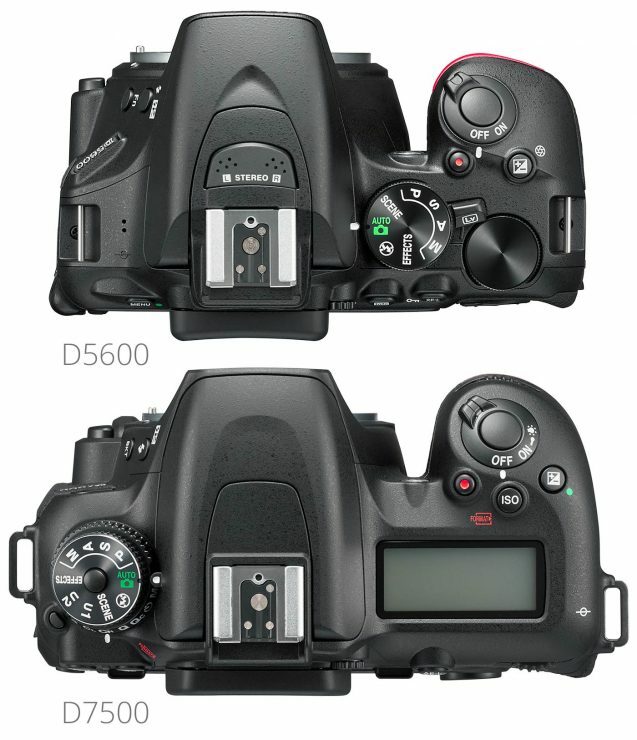 the D5600 and the D7500 are. Do you have any reviews on the best image/cloud sharing offerings that come with cameras? or third parties? Until recently, I’ve only ever done cloud backup from my computer, not directly from the camera, so I can’t tell you my experience with Snapbridge for that. I have used several means of automatically transferring images to my computer (wirelessly), and my computer backs up all of my files to cloud storage. For me, the best option has been Amazon. With Amazon Prime, you get free unlimited photo storage for all JPG and RAW files, and since I’m a Prime member anyway, it’s essentially free. The browsing and sharing capabilities of Prime Photos is good, and of course, you can always use it to print photos and find other ways to give your money to Amazon. Excellent article. I currently have the Nikon D5600 and been in the market for the sharpest wide angle lens for an APS-C body. I currently have the Sigma 17-50mm f/2.8 and the new Nikon 10-20mm, but at the wide end they leave more to be desired. I’m wondering if there’s possibly a prime lens worth looking at or a sharp wide angle lens with a low amount of chromatic aberration. I’ve considered upgrading to a different camera body, however upgrading to a higher quality glass might do the trick. Chromatic aberration is a common problem with wide angle lenses; usually it’s easiest to get familiar with correcting it in post-processing than to get a lens that doesn’t show any. Sigma’s 18-35 f/1.8 is really nice and sharp but even that will still show some CA in high contrast situations. Otherwise, you might want to try some of the Sigma ART or Zeiss prime lenses. They’re going to be expensive, but they’re wonderfully sharp. I’m an amateur aviation photographer who currently uses a D3300 with AF-P 70-300 dx lens. In your opinion which Nikon dx camera would be a better upgrade for aircraft in flight? I don’t do much in the way of aviation photography, but I do quite a bit of bird photography, and I suspect that there would be a some crossover :-) For most of the same reasons that I’ve mentioned above, I’d recommend the D7500 for anything where you’re shooing sports and action: it’s faster (shutter speed, frames per second, etc) and it has an excellent autofocus system. The D5600 is not at all shabby, either, but it’s not the action-oriented camera that the D7500 is. Of course, part of getting the job done is having the right lens: a fast focusing lens with good reach can make all the difference, and without one, a great camera might only get mediocre results. I’m wondering if the 18-300 Nikon zoom might be too heavy for the D5600. Any opinion? I don’t recommend any of the all-in-one zooms, but especially the 18-300 range. Though they are convenient, the image quality suffers significantly the more zoom range that you try to pack into a single lens, so you end up with mediocre quality optics at best, and sometimes much worse in parts of the zoom range. Settling for mediocre image quality defeats the purpose of buying a serious camera like a DSLR, in my opinion. Instead, I’d recommend going for an 18-140mm VR. It’s a manageable enough zoom range that the image quality is pretty strong throughout the range, and it still covers most shooting situations. However, if you need more zoom and want to go with an 18-200 or 18-300, then no… I don’t think it’s too heavy for the body. The balance may take a little getting used to, but that’s about it… there’s certainly no structural concern. If you don’t mind a little extra weight, then adding a battery grip to the camera body is always a good way to balance that out. Thanks much for your prompt response. I’ve been using an 18-200 on a d200 for many years so am used to the weight. Good to know there are no structural issues. Bad to know the image quality is not great. Exactly what I needed to read. I had D90 for the longest time and recently sold it in preparation for an upgrade. Hard to let it go, it’s served me very well! Thank you for the detailed, well thought out review of both. It’s helped make my decision firm. Glad you found it helpuful! Hi, very good article! I need your opinion in this regard. I have a Nikon D5600 with an AF-S DX 35mm 1.8G. As I really like to shoot with Primes, I am looking forward to buy AF-S 50mm 1.8G & 85mm 1.8G. But I am wondering about the benefit of an FX Lens on the DX camera. As for DX there are not much Primes, apart from a 40mm Micro from Nikon. Should I go for them or not!? When using the FX prime lenses, you get the benefit of using the sharpest part of the lens (the center of the lens), since the quality of any lens is always the worst at the borders of the frame… so with and APS-C sensor, you get to use the sweet spot. You also hardly get any vignetting, which is nice. They are a bit bigger than necessary for a DX camera, but none of the ones you mention are huge. Of course, the drawback is that they’ll all have a much tighter angle of view, so the 35mm will be more like a 50mm. Hi, Mathew thanks for the reply! So there is no problem going for these FX Primes(50 1.8 & 85 1.8), instead of 16-85/16-80 right!? And why the comparison of focal lengths with a Full Frame for these lenses. It’s a bit confusing. A 50mm is 50mm and 85 is 85 on a DX right!? Actually, the ‘effective’ focal length of the lens changes depending on whether you’re using an FX sensor or DX sensor. A DX will give you a narrower angle of view (since the sensor is smaller, it doesn’t capture the full width that the lens can give you), so the angle of view will appear to be that of a longer lens. So, to get the ‘effective’ focal length of a prime lens, you multiply it by 1.5 for a Nikon DX (1.6 for a Canon APS-C, since they use a slightly smaller sensor). Thus, a 35mm lens becomes a 52.5mm lens, effectively. An 85mm lens becomes a 127.5mm lens. This means that if you want a traditional 35mm angle of view, then you’ll need to buy a 24mm lens. I read this article AFTER I bought the D5600 for my wife yesterday. Surprisingly I went to buy the D7500 but the shopowner advised: if she isn’t a photographer of sportevents or a multiflash type: buy the D5600. Nice to read you advise the same. The D5600 has another pro: the grip! Where the D7500 has a button in the grip which is distrubingly pushed when you don’t want it to be pushed, the D5600 has a robust firm grip without any buttons. Thanks for your article, I enjoyed reading it. I’m actually contemplating on an upgrade from a Nikon D60. I usually take photos of kids (preschool teacher) and mostly indoor stuff. I travel once in a while, though. I’m still not quite sure between the two though as I heard from somewhere that an upgrade should be vertical and not horizontal. With the D5600 coming from the same “family” as my D60, would it still be a reasonable upgrade or should I bump up to the D7500? To add, I don’t plan on buying lenses in the very near future as I’m still set with the pair I currently have. Thanks again! Ultimately, the D7500 is a better camera for people who need its features… but most people don’t. The D5600 will be a pretty dramatic upgrade from the D60, despite being similarly placed. I actually think of the D60 as being similar to the D3000 line, whereas the D80/D90 were in line with the D5000, and the D300 in line with the D7000 line, so you don’t need to think of it as a horizontal upgrade :-) Both the D5600 and D7500 will give you great image quality. The D7500 is better in low light on paper, but they’re virtually identical for practical purposes. Unless you can think of something that the D7500 can do that you’ll use, I’d go with the D5600… but if you have the money to spend, the D7500 is the better machine. I am trying to find out if the SB 800 is compatible with the new D7500. I like all the features of the 7500, but would like to be able to use my old flash, I know how to use it and don’t want to buy another, as I have my eyes on a new lens too. I do use it for fill flash shooting outdoors. 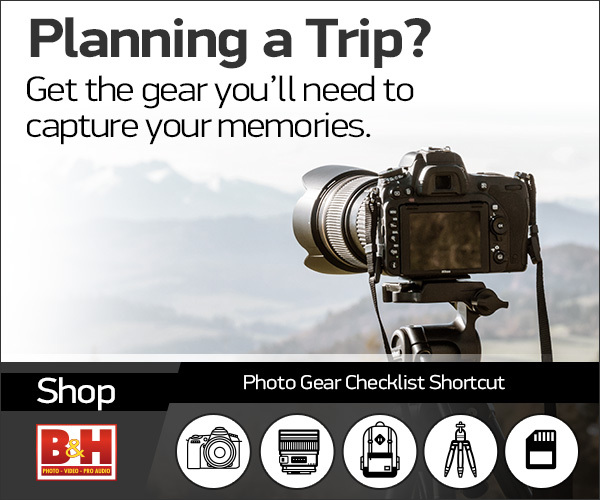 The D7500 is not on the list posted on Nikons website for any flash. I think they just haven’t updated the list. I enjoyed the review and found it very informative. I would like to ask a slightly unrelated question. I was originally contemplating between the D5600 and D7200. I understand the d7500 is out but is out of my price range. I would like to know which would be better to buy between the d7200 and Canon 80d? Both are excellent cameras, and both have their strengths. The Canon 80D has a better autofocus system for live-view and video, and its autofocus system for through-the-viewfinder shooting has more cross-type points, making it more effective when you’re shooting off-center subjects. However, the D7200 has a sensor capable of capturing finer detail, since it has no anti-aliasing filter, and its sensor has a little better dynamic range and low-light performance. Some people will tell you one camera is better than the other, vehemently in fact, but it really just depends on your needs as a photographer. I’d probably lean towards the D7200. Thanks for replying, it was really helpful. I managed to get a hands on trial run with both before purchase and as you say the 80d is a great camera for reasons mentioned above but the Nikon fit the bill for me. Matthew, this is an amazing review: Informative, educational. Good article. Been on the fence playing the waiting game. Want to buy a Nikon for all round use. Would like to use for real estate listings but also for just general pictures nothing special. Figure if I am going to spend the money I don’t want to regret what I buy. Prices had come down and I am closer to getting off that waiting fence. My back ground is novice. I know just enough to make the wrong choice. I keep looking at the D5300 to the D7200 and the D750. I figure it will be one of those. Luckily, there’s hardly any wrong choice these days… every camera on the market is capable of making some amazing photographs in the hands of a good photographer. The D750 is a great camera if you want to take the step up to full-frame, though it’s also going to be a step up in size, weight, and cost (especially for the lenses). If I were buying an APS-C Nikon today, I’d almost certainly buy the D7200… it seems perfect for just about everything that I do, and I don’t think I’d have much use for the extra buffer space or 4K video. I might enjoy the extra couple of frames per second when shooting sports, though. kit lens plus an 125mm f2.8 old school lens. Last month I went shooting birds in the mountains with a friend. She just bought a Canon D80 and a Sigma 100-400mm. She posted her photos on FB the next day, I was totally blown away by the result, You can see the tinest feathers on the birds. So my question is: If I buy a D5600 and maybe buy a 100-400 mm lens, can I get photos like my friend did? My other concern is if I buy the D6500, I can’t use the 125mm lens on it. Is that a big loss? Last week I just bought a 50mm f1.8G. I took some pictures of my colleagues. It works great! Love it! Yes, if you use the same lens, you’ll get as good or better image quality as the Canon 80D. I’ve used the 100-400 and the 150-600 and prefer the latter, but they’re both great and the 150-600 is pretty hefty to carry around. If you’re talking about the rare 125mm f/2.8 manual focus lens, you certainly can use it on the D5600. At worse, you’ll have to use manual aperture settings, and of course, autofocus will not work :-) That’s the problem with most older AF lenses and the D5600… AF will not work if the lens doesn’t have an AF motor in it.